It’s graduation season. 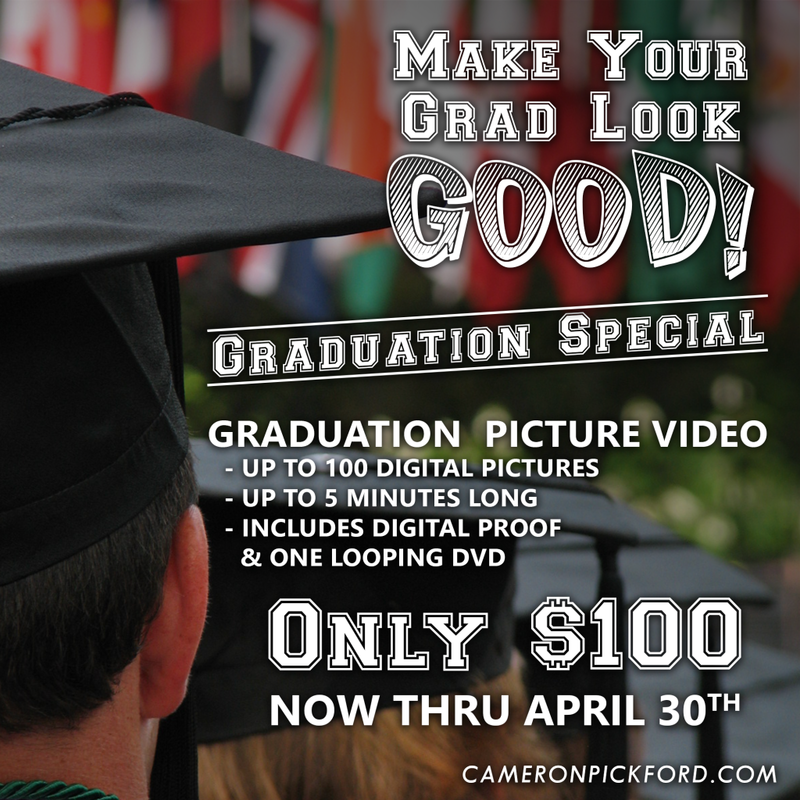 Make your graduate’s day a special one with a looping picture video from Cameron Pickford. Now through April 30, a picture video with up to 100 digital pictures is only $100. A digital proof and one looping DVD for your graduate’s party is included. Contact Cameron Pickford to place your order today.